Kenyan boxer Anthony Napunyi lost an eight round bout to Ugandan Ismail Muwendo who USA Mid American featherweight title with the win on Saturday night at the Hyatt in Minneapolis. 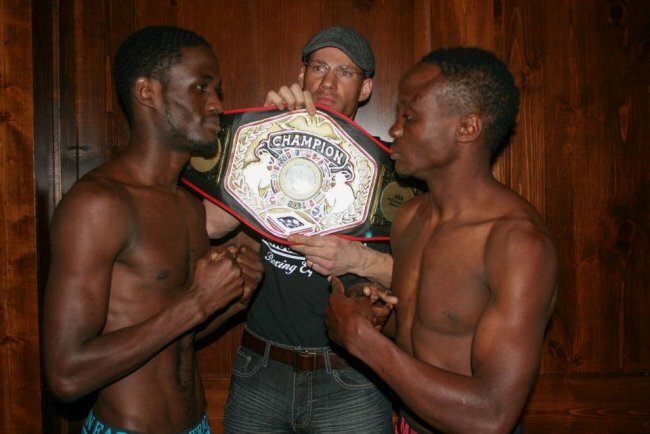 The unanimous decision victor extended Muwendo’s record to 12-0 against Napunyi’s 14-11. Scores read 79-73, 79-73, 80-72 all in favor of Muwendo. According to Minnesota boxing Muwendo controlled the fight and dictated the pace although he did have trouble landing his big shots at times on Napunyi, who was crafty defensively. It was an impressive showing by the US based Napunyi who had competitively lost his last bout against (22-1)American top contender Mason Menard, in (10) round decision. "The Sharp Shooter" Muwendo settled down and began to find a rhythm as the bout went on and by round five, he had found his range as Napunyi became more stationary. Muwendo's best moments came in the final round as he stalked Napunyi around the ring with hard punches to the head and body. With the victory the 24 year old Muwendo keeps the USA Mid American featherweight title.